Historically, August is always a quiet time for me. Looking back over the last two years of my blog, I have managed only a few posts in the two previous months of August combined, so this year's blog is following the trend. Quite simply, I try to stay away from the masses whenever possible, and August, being swallowed by the school holidays, means that there is usually very few places I want to go as it is usually going to involve being surrounded by bored, noisy families. Also, my other interests like the fetish scene go quiet too, as this is the time of year that many people are away themselves. I especially try to avoid travelling anywhere on the Bank Holiday in August - thanks to crowds and traffic, it's a weekend that I usually stay indoors or head to the nearest non-children friendly bar to pass the time. Not this year though. 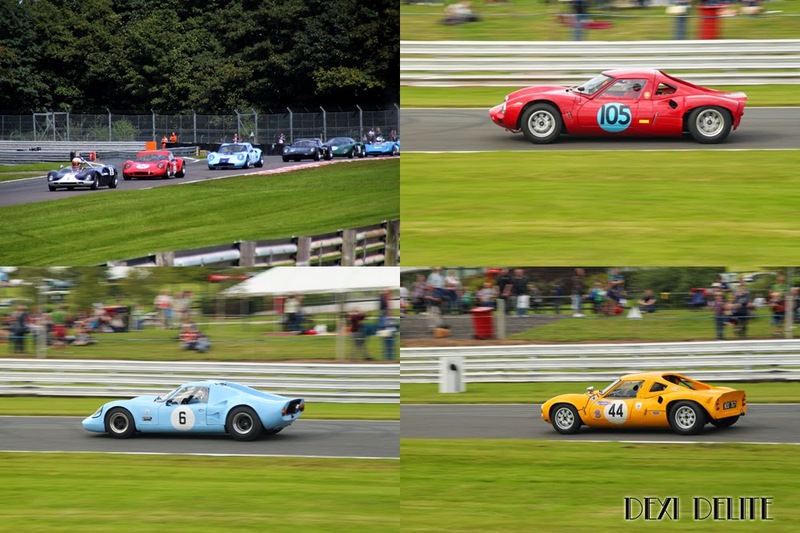 Back in April I attended the Oulton Park race circuit in Cheshire at the GT race event. 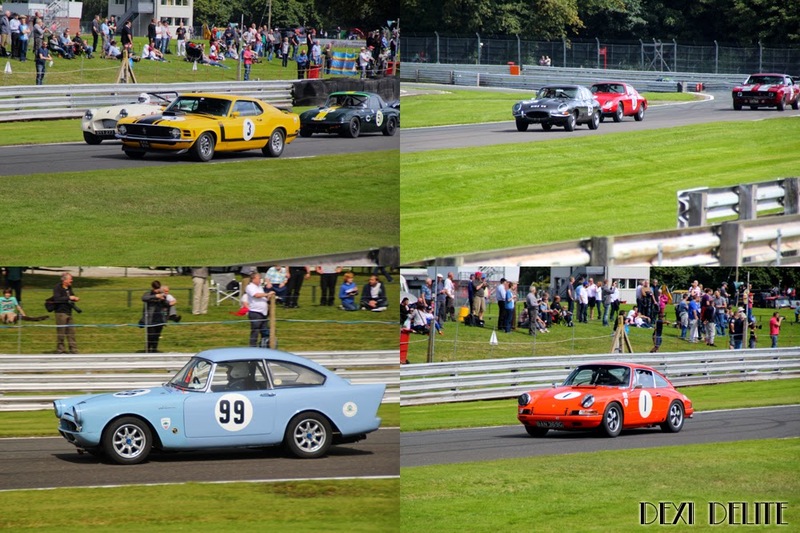 The August Bank Holiday saw the arrival of the Oulton Park Gold Cup at the circuit, for historic vehicles, which, despite my aversion to travelling on these weekends, was enough to lure me from my bedroom. Plus, I was promised a breakfast at the circuit's Chequers café. With the weather looking rather mixed through the weekend, Sunday promised at least only light cloud rather than heavy rain, even though at 16 degrees Celsius it looked like it would be cool. Sunday dawned, and, with the anticipated weather, I choose my leopard-print fur coat, tight leggings and high-heeled ankle boots just in case it got a little chilly. My only request was that we set off early, though, to avoid the predicable crowds later on, so by 9.00am we were parked up at the circuit and heading for my reward of breakfast at Chequers. There was plenty to see, even at that time. 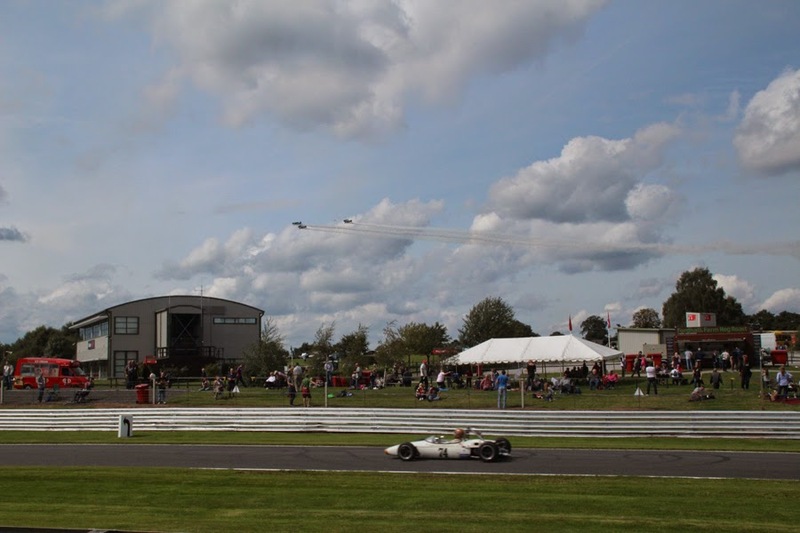 Lines of classic and interesting cars were coming into the circuit (the infield part of the circuit was for classic cars only, it seemed), and next to Chequers some gents were still busy setting up the military displays. After tea and breakfast, it was time to wander around the Pits area, hopefully before it got too busy. 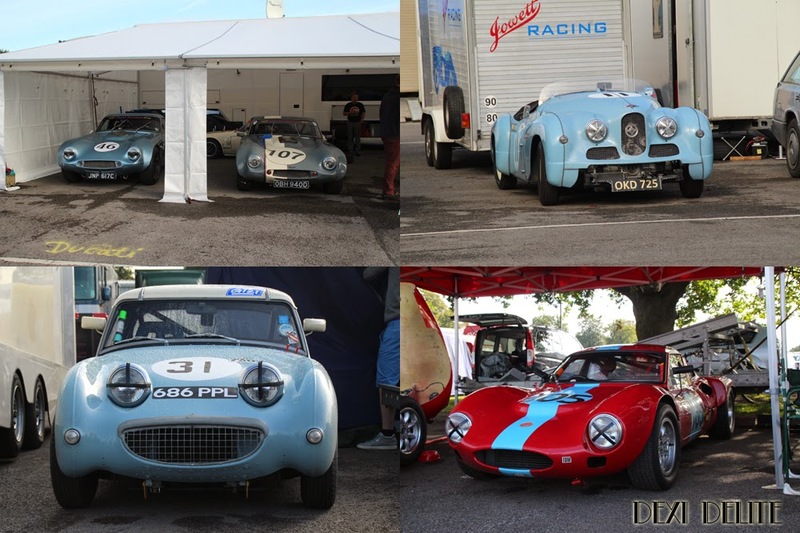 There were some lovely cars on display, and even if they were not to the rarity of some of the race cars at the Silverstone Classic or Goodwood Revival. Nevertheless, the gorgeous blue Sunbeam and pretty white Lotuses certainly caught my eye. It was quickly beginning to appear that the pessimistic weather reports were wrong, however, as by 10.00am the weather was warming up quickly as the sun began to burn away the early chill. The promised 'light cloud' was nowhere to be seen, and my thick an cosy jacket was soon looking like a poor choice. It was relegated to a bag, and not worn for the rest of the day. 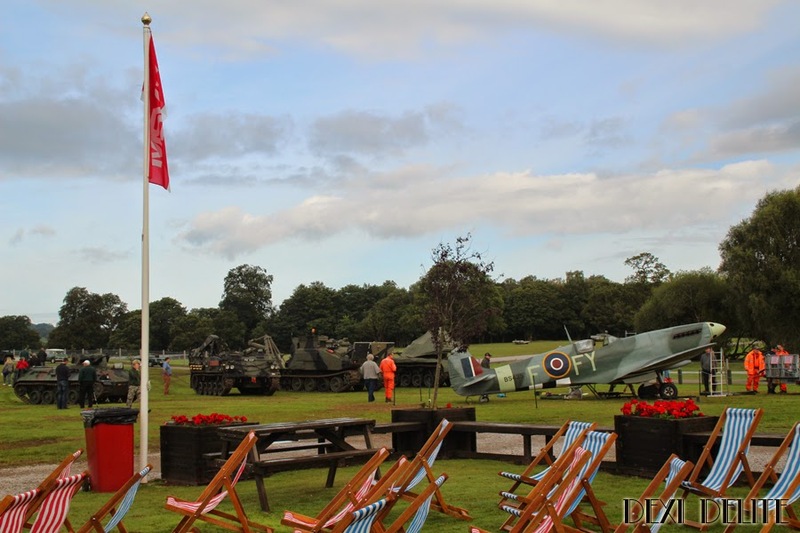 As mentioned, the main infield area was for classic car clubs and some old military vehicles. A line of Porsche 911's showed how lovely and dainty the old models were in comparison to the heavier and bigger modern versions. 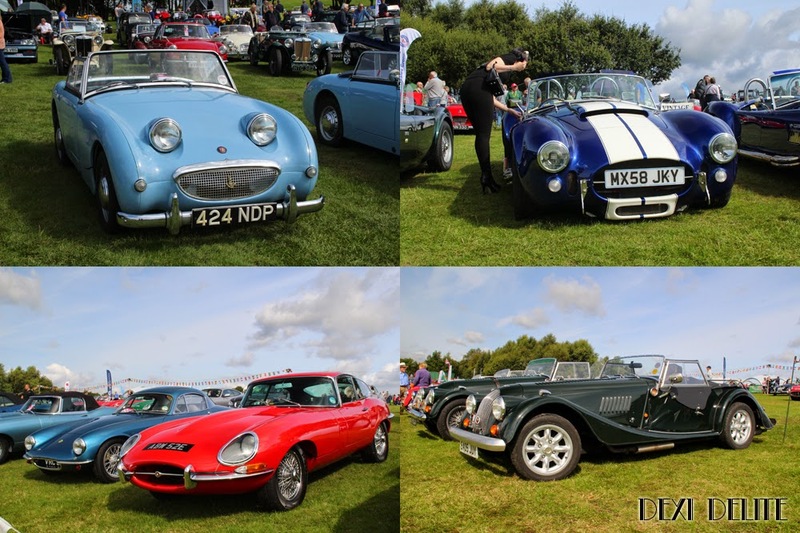 A polished line of Morgans glinted in the bright sun, and Jaguar E-Types were displayed alongside 1960's Lotus sports cars, Austin Healeys, muscular AC Cobras and pretty Austin Frog-eyed Sprites.... the list went on and on. Mid-day arrived, and the racing started, beginning with Historic Road Sports cars, which saw Porsche 911's, Morgans, Jaguar E-Types, Ford Mustangs and Sunbeams battling it out on the track. I had my hopes set on the beautiful pale blue Sunbeam (No.99) that I'd managed to have a good look at in the pits, but unfortunately it began in the middle of the pack and stayed there. 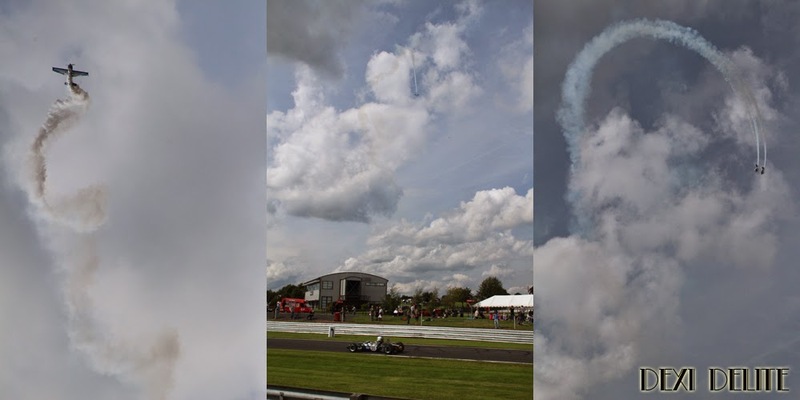 At two o'clock, the air display began, with a trio of aeroplanes performing acrobatics over the race circuit - it was hard to decide what to watch, as a race was being run at the same time! 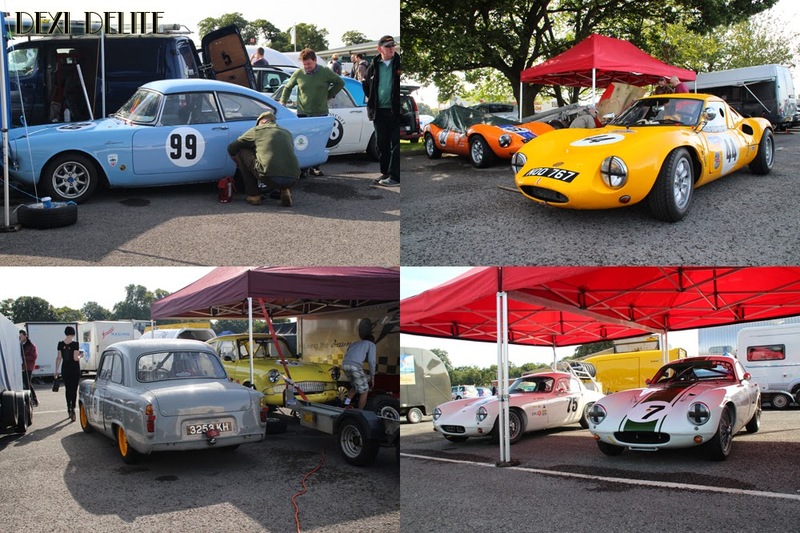 By 2.30pm the Guards Trophy for Historic Sports cars was running, with some wonderful and muscular-sounding cars - mainly pretty Ginettas and Chevrons. It was certainly a close race, with three Chevons battling right to the flag, with a few seconds between them. Relaxing in the car with a picnic watching the sights of the fantastic cars fight it out, I realised, was a great way to spend an August Bank Holiday. Maybe I should try it more often. So August and Summer are nearly over, and September and Autumn are on their way. For me, however, there's plenty to look forward to. It's feels like it's been a while since I did anything rude or fetish, but that will hopefully be rectified next month, as the party season starts. 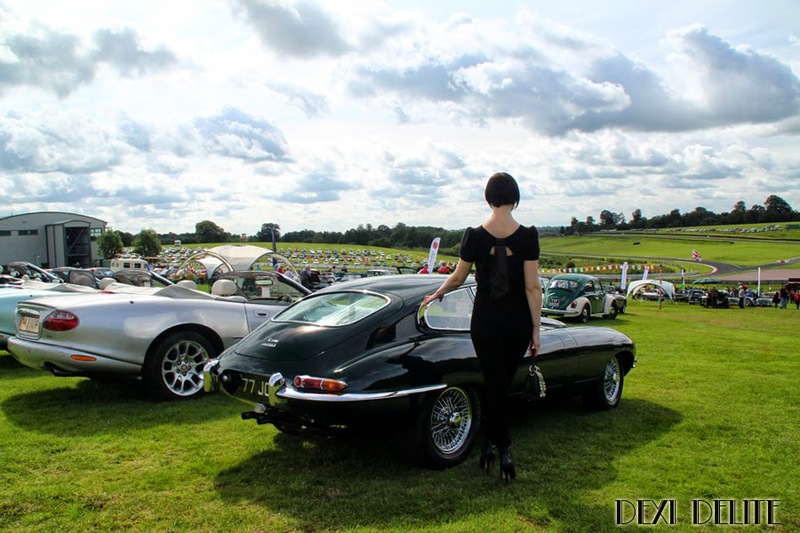 It's been a tremendous Summer, actually, with my travels to the Silverstone Classic and Berlin - but I'm determined that Autumn and Winter will be just as good!